The Complete List of 16 Harvest Moon: Hero of Leaf Valley Event Endings. You need to know that this short event list is all you need to accomplish. Various kinds of the cutscene that you don't need to see, I didn't write here to save the time. So, you probably wouldn't see the scene in this article. The short explanation here is all about the dates range and where the event occurs. If you want more details explanation, we will explain it in the different posts. If you don't get a cutscene between the date range below, then most likely the event path will fail. 16 Harvest Moon Hero: of Leaf Valley event endings completed. That's all. I hope this short guide will help you to complete 16 Harvest Moon: Hero of Leaf Valley Event Endings. Thanks for reading this article. 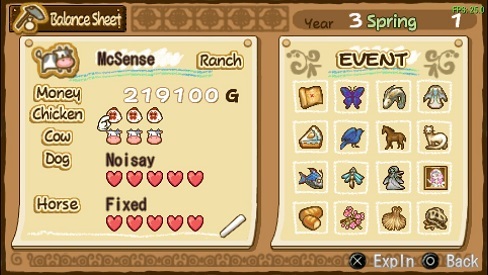 You may also like: How to Complete Rare Items in The Storeroom Harvest Moon: Hero of Leaf Valey.